Cheesecloth or you can use a big tea strainer ball for the bouquet garni. 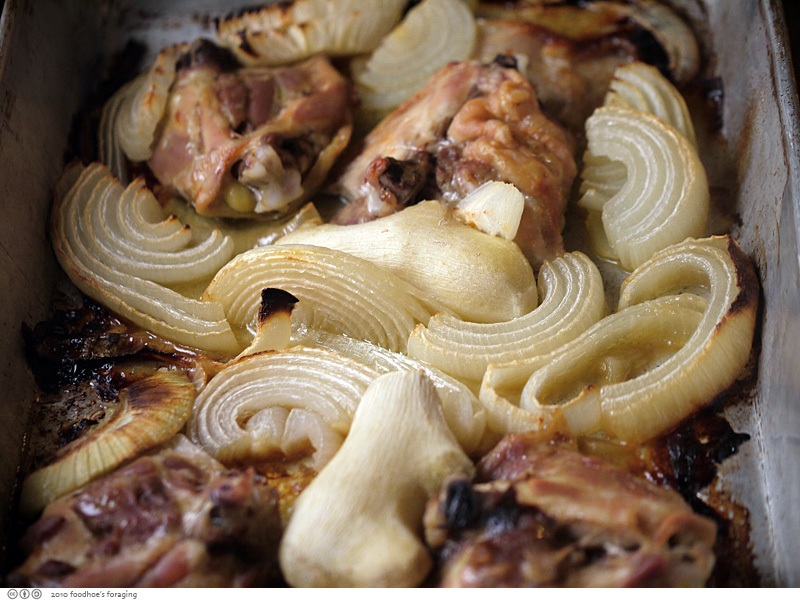 Place the cut onion, ginger and chicken in a 19 x 13 baking pan. Bake in oven 30 minutes, turning the chicken occasionally, to get an even carmelization. Set aside to cool. Put chicken broth in a large stockpot and set over a low flame. Prepare a Bouquet Garni by placing the coriander, cloves, star anise and cilantro stems in a cheesecloth sachet, tie with twine and place in the broth (I used a metal tea strainer) Add roasted chicken thighs (if using meat from the thighs, remove meat at this point to put into the soup for later, or reserve breast meat if using for later) onion and ginger to the pot and cover partially. 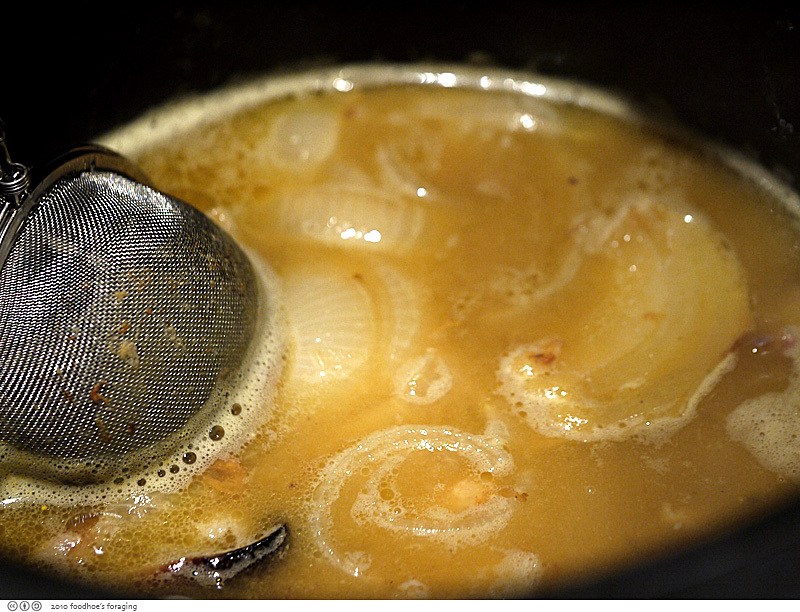 Turn heat to high – let it come to boil, then immediately turn heat to low. Simmer for 20-30 minutes and adjust seasoning with more fish sauce and/or sugar. Prepare noodles as per directions on package. Usually this requires cooking for 8-12 minutes in boiling water. 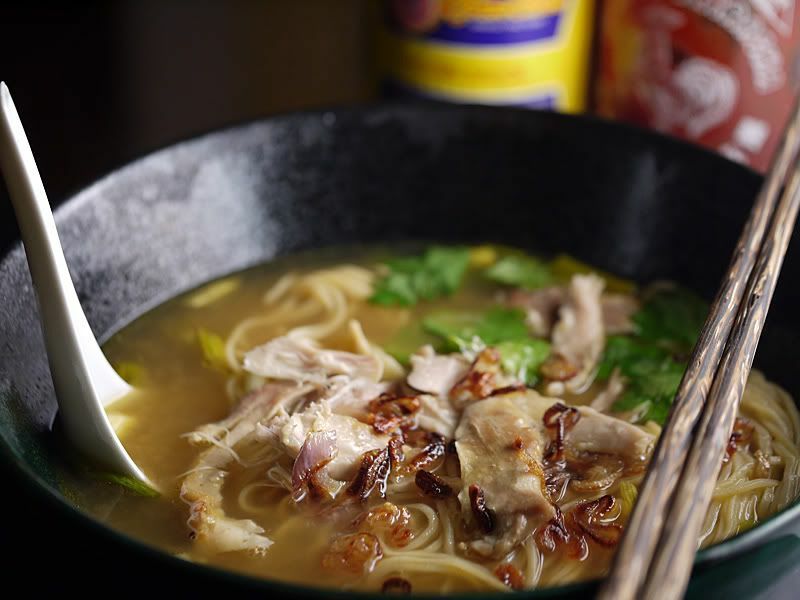 Place cooked noodles in a bowl and ladle with broth, shredded chicken meat. 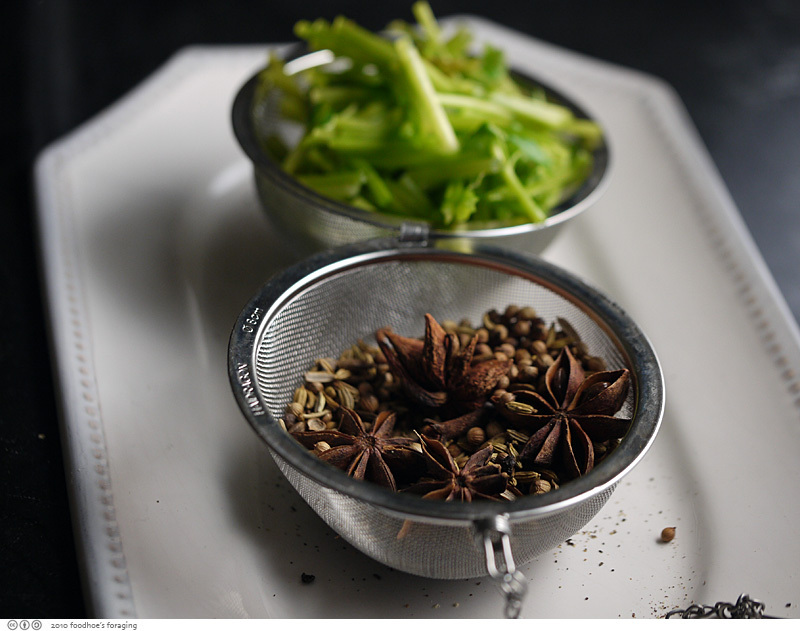 Serve with the following at the table: bean sprouts, fresh herbs (cilantro tops, basil or mint leaves), caramelized red onions or shallots, lime, sliced jalapeno, Sriracha hot sauce and Hoisin sauce. 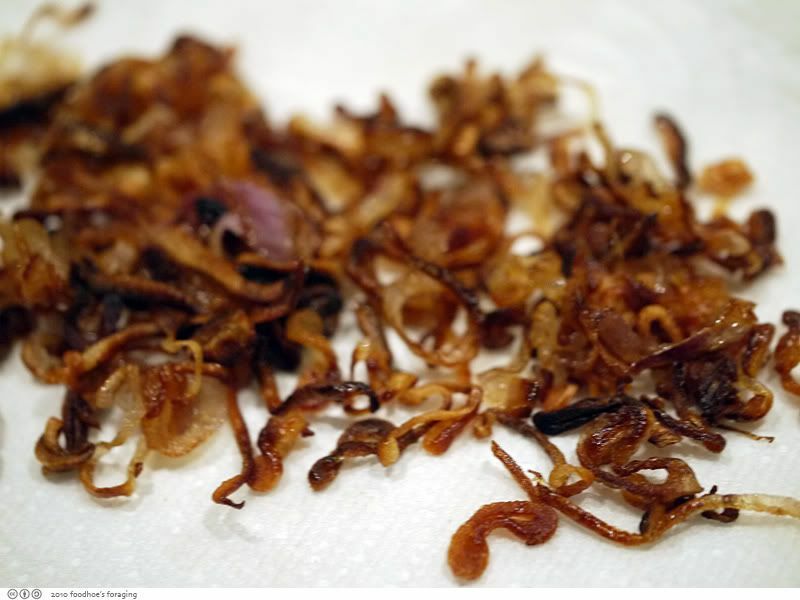 I say that the caramelized onions are mandatory, because it's just not the same without them. I love the name of your blog! It made me giggle. You can find anything about Chinese food here, such as chinese food recipe,chinese food menus,chinese food restaurant. Chinese food is a popular and special food style in the world. For most people, Chinese food is fantastic and delicious. The diverse cooking style always attract the people. The cooking style and food characteristics are different in accordance of the local cultures and customs. nice post .. thanks for sharing .. i love you soup .. looks delicious ..